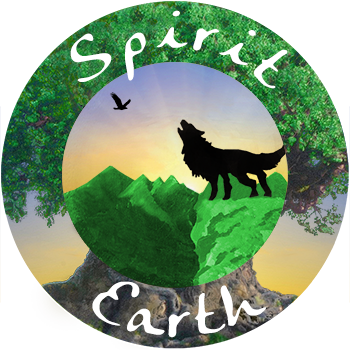 At Spirit Earth Coaching, we are dedicated to making coaching services available to everyone. We believe it is possible to create resources that allow everyone to thrive, including those who are offering the support! Too often, those in holistic fields sacrifice their own basic needs, often needing to work a second or third job, because they aren’t able to cover their basic expenses through the income generated through their work. Our belief is that everyone should be able to do the work they are called to do and have their basic needs met. We are dedicated to finding solutions that make this possible! That’s why we created the Coaching Fund. The Coaching Fund offers a vehicle for those who have abundant financial resources and want to help others in need to allow us to help everyone who needs it. Too frequently, those who are going through trauma and really need spiritual coaching can’t afford it because the challenge they are facing is effecting their ability to work. The Spirit Earth Coaches cover their basic needs through the funds generated through this business. The Fund allows those needs to continue to be met, while offering free or reduced rate services to those who need them. Below are some options to make a love offering (this is not a donation as Spirit Earth Coaching LLC is not a non-profit). You can use the PayPal Links below to make a one-time love offering. You will have an option to use a credit card or checking account for the love offering. You do not need to have money in a PayPal account. For those wishing to make a larger love offering, the PayPal link below allows you to select the quantity of $100 you would like to give. Thank you for your generosity! If you would like to offer ongoing support through a monthly subscription, you may use the links below. The money will be deducted automatically from the account you select monthly. You can cancel your subscription through PayPal at any time. THANK YOU! Your generosity and willingness to “pay it forward” is so appreciated! May the Creator bring you what you have given times a thousand! Below are some thoughts shared by those who have benefited from the Coaching Fund. Names have been removed to protect privacy. “I am very grateful the scholarship fund is available! I’ve been working Nancy and Ryan to heal a great deal of past pain, fear and sadness. Even more importantly, they are giving me the tools and knowledge to discover my true path in life.